We’ve just released an update to Localscope, v3.5, that fixes Twitter results, disables YouTube and adds some minor changes. Earlier in June, Twitter switched to their new and updated API that requires authentication to access public tweets. As a result, the Twitter service in Localscope was broken and not showing any geo tagged tweets. 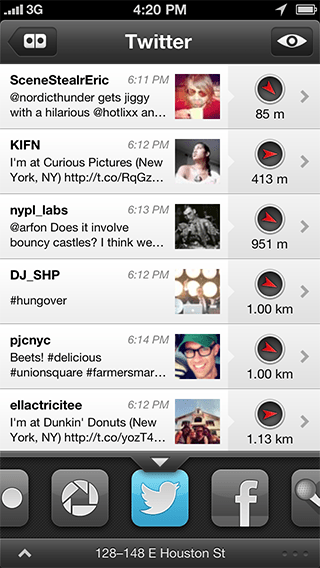 Localscope v3.5 fixes this by upgrading to the new API and using the Twitter iOS integration. Localscope now uses the already configured Twitter credentials directly from iOS, so you don’t need to re-authenticate, instead you can just choose your account and start getting results from Twitter in Localscope. Earlier this year, YouTube had done some changes in their search index which is preventing location based searches from Localscope to deliver results. We have been in touch with them about this issue, but the estimated fix is expected later this year. So until the problem is fixed at their end, we have disabled YouTube from the app by default. It can easily be enabled again via the “Edit Services” section. Localscope extensively uses the compass in your phone enabling the red arrows next to each item can point you to the right direction of a place. 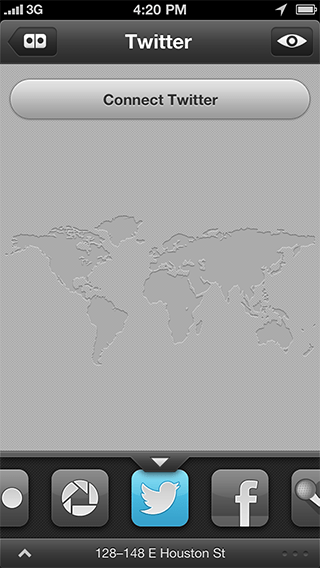 However, when encountered by metallic objects like moving cars or even your computer, the device loses compass calibration. 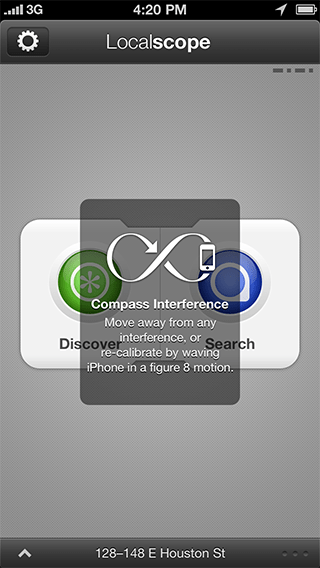 To re-calibrate, iOS pops up a message asking the user to wave the device in a figure 8 motion. While this can be a little annoying, it plays an important role in pointing you to the correct directions. Many of our users have complained about this annoyance and so with v3.5, we have supressed the compass calibration message by default. 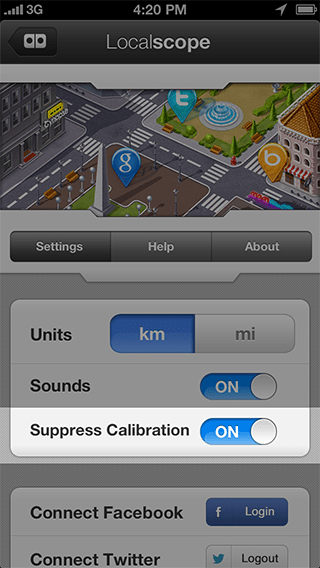 If you’d like the direction pointers and the augmented reality to always point in the accurate direction, you can turn “Supress Calibration” Off from the app settings and the message will start coming up again. We hope you enjoy Localscope with the new fixes and improvements while we work on major improvements for the future version. Localscope v3.5 is live and available on the App Store, get it now!